Nobody likes a salesman who are all about themselves. Jason Cahill knows this, and prides himself on doing things differently. He has built a successful career and roster of clients across a variety of roles doing a simple but elusive thing: always putting his clients first. And that is a real shame. Make no mistake, Jason is happy with how it’s going. He loves his work, his clients love him, and the worst thing he has done lately is accidentally grab the wrong order at Starbucks (‘Gerald’ sounds like Jason when your tired, and a peppermint latte instead of a strong cappucino dosen’t help it). It’s a shame though because anybody who reads Jason’s regular blog and knows of his wider career recognises – this is a salesman with an outstanding story. Jason is looking to change all that. Working out of, and proudly hailing from London, Ontario, Canada, Jason is to his family and friends what the ‘one guy’ or ‘one girl’ you know in your group is to yours; they seem born for their job, thrive in it, and serve as an ambassador of it. Now, after almost 20 years in sales, Jason is set to take a big new step in months ahead. Shifting from sales professional and consultant to teacher. Having recently launched his consultancy’s sales deck with a mission to ‘assist and educate’, Jason is looking to start a new conversation in 2018 what it means to be in sales in the digital era. It’s always great to hear from a professional passionate about their work, and this writer got in touch with Jason to talk about his decision to start teaching after years of working in sales. Ed Kennedy: Thank you for speaking to us Jason. Your stated mission with Authentik Sales Consulting is to advise and educate with this new sales deck. Let’s begin with our open question: how has sales changed in the digital era? JC: I started my consultancy with the ambition to advise and educate. This goal is deeply influenced by the digital era. Today, the way people buy has changed, they are more self-service oriented, and really shun the idea of interacting with a salesperson who could tell them the same thing as Google. The thinking goes ‘Why deal with a pushy, slimy salesperson who isn’t adding value?’ And that’s fair enough! That’s why we need to offer a new path. This is where the flipping of the script so-to-speak comes into play. As salespeople, we have to connect with buyers on their level and educate them faster and more in depth than the marketing content they see on a website. We have to become influencers in our own right, rather than just order takers. Switching our role from passive to active in the process. In doing this, we prove to buyers we aren’t their parents idea of salespeople like the ‘used car salesman’. But that involves making a shift from the old techniques and strategies of using the ‘Cold-Call-Close’ which never really worked anyway, to new strategies and tactics that I’ve outlined in my book and training. The training hasn’t really changed much for all that I’ve seen out there, and new sales professionals are still getting taught to ‘stick to the script’ and not to deviate. So we’re in a new era, but we basically have an army of salespeople, all saying the same thing sounding like robots, and buyers have become savvy and are choosing to not deal with it. This is a bad deal all around. New sales professionals don’t get useful training, our industry as a whole doesn’t grow, and the market misses out quality sales professionals. What I’m doing here is giving salespeople to tools to develop their own authentic branded script, that they write, so it’s natural to them and unique buyers; but based on solid research of what parameters work and don’t work. EK: What does a regular day look like to you? JC: My work is a mix of remote and in-person interaction. I’ve my (home) office in London, and it’s there I do my desk work. Beyond that, I’ll often be on the road, driving into Toronto and wider Ontario, meeting with prospective clients. After kids are to school and I hit Starbucks for my first dark roast, I hit my laptop and jump on LinkedIn for activity like any connections who have new jobs, blogs, posts, etc.. Also, Monday’s I will write/post my weekly blog on LinkedIn. If it’s an ‘office day’, meaning I don’t have meetings, I’m building my tribe or what most sales professionals call it, prospecting. I don’t have it blocked off in my calendar because any time I’m not doing something scheduled like meetings, travel, admin, I’m connecting with my prospect base. I typically make sure I do at least 10-20 connections per day. This could be emails, calls, walk ins, videos, In Mails, any combination of those. Around 11:30-12:30 I try to hit the gym. It gives me a break from my laptop to step away and think. It’s a good way to get perspective of what I’ve accomplished today and what I still need to do and how to do it. I’m not a ‘gym guy’ so I work out in my office (elliptical) but I find it’s a necessary evil. Life on the road, food can get…convenient, so you have to stay healthy. If I’m on the road at meetings in between I like to do walk-ins and see new businesses or re-connect with people I’ve spoken with before. Once the afternoon is here If there isn’t anything super urgent, after my workout and quick lunch, I’ll throw on a jacket and button down and hit the road. In-person business is such a rarity these days but it’s a good way to differentiate yourself from the digital-only competitors. Sure, digital is important to what we do of course, but there’s many ways to hang a picture, and finding the best tool for each client is a part of that. It’s a judgement call to a degree, that comes with experience, but every online interaction of course also gives a glimpse of the person behind. If you’re in sales, your personal qualities are really important, and an in-person visit is a good way to show you differ from the rest. Never underestimate the power of the afternoon coffee as a way to start reciprocity. Jason continues to pride himself on in-person visits to new and existing clients. He has built up a great client book and collection of ties over his career. EK: What drove the decision to produce this sales deck now? Long plan or sudden inspiration? JC: This sales deck has been an evolution of what my consultancy offers. I’ve been in this sales gig for almost two decades now, and things have changed dramatically. Obviously, the biggest change is smart phones and having instant access to information at anytime. And because of that instant access buyers have, before they purchase anything they feel they need to go through a ‘consultation stage’ and research. In fact, Gartner says that by 2020 85% of sales relationships with buyers and companies will be without human interaction. I mean, you can buy a car online now without ever going to the lot, it’s amazing. But it’s not so amazing for salespeople as they are now struggling to find where they fit into the buying process. We’re not the keepers of the secret info anymore, and most sales Training and mindsets of managers and organisations are almost totally ignorant on how the new buying process works and how it’s affecting their sales numbers today and more in the future. So my aim is to help salespeople develop their own authentic brand and way of selling and connecting with buyers in this new economy, and to help organisations rethink their sales and marketing strategies from metrics to methods. EK: What was the process like for you? Summarising around two decades is no mean feat,eh? JC: To be honest it was incredibly cathartic for me. I’ve been in front line sales for so long, and linked to London for so long. These links are what make me who I am. My family is here, so many friends and memories are here – but like anyone in any field – there’s so many jobs and locations and only one of you. When it comes to career growth that can be hard, because unless I want to move to Toronto (which I don’t); all this knowledge is basically stuck in my own head with no team of my own to lead and share it with. Jason is open to giving up some things from London – train delays at Richmond Street bug everybody in town – but family and community means it’s the perfect city for him. Here the Cahill family is pictured out and about (Jason sans-suit) on Safari in Cambridge Ontario. Though it was very arduous to put everything I know down on virtual paper about sales, it was very interesting and exciting to put a tactic down and then step back and ask myself ‘ok, but why does this work and how can I prove it?’. That’s been the best part about formulating my approach to sales, it’s the science and the foundation of where my strategies and tactics come from like Neuro Linguistic Programming or Behavioural Science. The “zooming out” and putting all the bases of how and where I formed my approach was extremely fun. But it doesn’t end, sales and human behaviours with new tech is always changing, so I’m constantly updating my approach and strategies. EK: This deck is no one-off either. Your consultancy has a heavy focus on education and training. Tell us a little more about that aim? JC: Sales is a great career, but its biggest fan and critic would say it’s also a demanding one on your time. The need to be perpetually on the move and switched on can mean many in our field find it hard to change gears now and then, to retrain and upskill. To my mind that’s a huge shame, because it’s about progressing the field as a whole, alongside personal career aims. That why I’ve made it a mission to end bad sales training, and break through the wall of ignorance. The proven strategies and timeless solutions I want to see hang round – I wrote an ebook championing cold calling after all! – but we also have to be about refreshing and renewing. This is particularly vital given the era we live in. Many of our client’s need new business to meet the challenges of disruption and a shaky economy – we’ve gotta go into bat for them, and that means having the skillset to swing for the fences. EK: How has the digital arena helped your business grow? JC: I think it’s helped tremendously compared to when we just had a phone and a phone book. We now have access to online tools that can tell us who we need to talk to and when, what their company and online business persona is like and what’s important to them, and also offered us several ways to interact like email, webinars, video messages, and even chat. The challenge now is now to stand out in this digital ‘red ocean’ of salespeople trying to get someone’s attention. I teach how to bring buyer to the ‘blue ocean’ where you’re the only salesperson who is saying or doing something different enough to get noticed. Digital is a great way of communicating to a buyer who is already plugged in digitally. EK: What digital apps do you use each day in your work? JC: Of course LinkedIn is a huge, huge tool for me. I’m also a ‘master’ of Salesforce. Most people hate it but I love it; I’d be lost without it. I also sign up for job boards to give me alerts on certain positions to tell me if a company is growing or if there is movement at the senior level and it’s a good time to put them on my list. I’ve also used a lot of Google tools to take notes in Docs or use Hangouts for video meetings. And I use GoVideo for video email prospecting. EK: Beyond your professional life, what digital products do you use when away from the desk? JC: Garageband for recording has been a great tool, and I also listen to a lot of Podcasts and Audiobooks. I’m still a gamer at heart too, and I can’t forget the NFL Fantasy Football app. 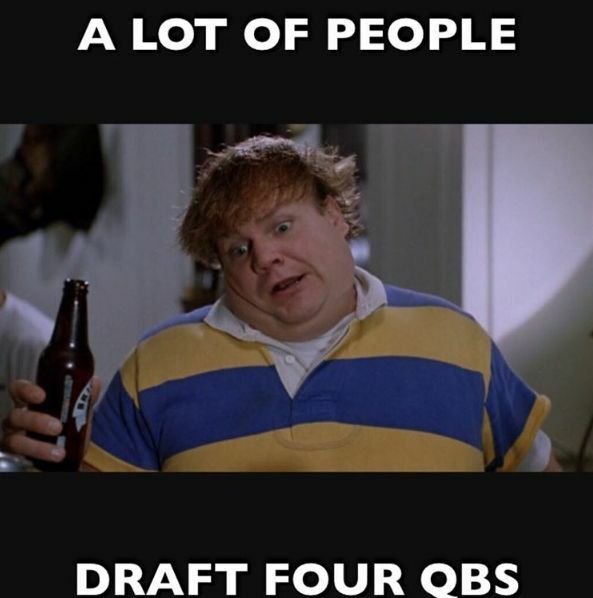 A lot of people draft 4 quarterbacks after all. EK: What has been the most surprising thing about sales for you?// What is something about your role other’s might not often recognise? JC: I think overall the most surprising thing to me is how much psychology and technology are joining together to influence sales. And because tech and people influenced by tech are changed at an extremely perpetual and rapid pace now, there is something new and exciting to learn everyday. A great example is a company called Vidyard in Waterloo Ontario who uses video to do sales calls through email. We all know the 93% of our communication is nonverbal, tone of voice and body language; which gets totally lost in an email. So these guys are using short video clips that you make, just like doing a cold call, but now the buyer can see and hear you to judge: is this guy genuine, did he research my business, does he seem to knowledgeable, all this stuff that you don’t get in a standard email. It’s so simple but so effective. EK: Finally, why would you recommend a career in sales today? JC: You know sales has never been harder than it is right now. There’s more companies out there to prospect, more solutions to business challenges, more research involved which means longer sales cycles; it’s not for the quick buck anymore. That’s why it is such an exciting time for someone interested in it. I think the personality type of the “jock, type-A, driver, social aggressor” salesperson has changed, to the “introverted, intelligent, analytical” type; which is great because that’s me! I’m actually very introverted; I still love my PS4, my guitar, reading books, making beer, staying home with family. Jason Cahill is founder and director of Authentik Sales Consulting. He always welcomes enquiries via JasonDoesSales@gmail.com Jason’s eBook ‘The Cold Calling Evolution’ is available for free via the iBooks store.